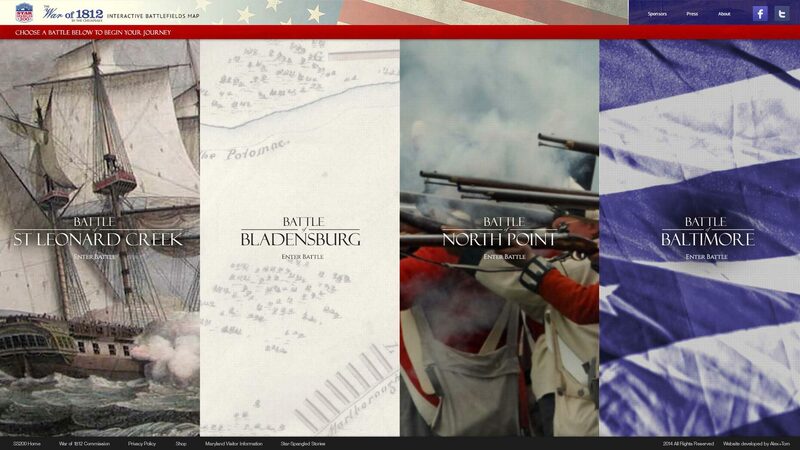 To commemorate the 200th anniversary of the writing of the Star-Spangled Banner, Alexander & Tom partnered with Maryland’s Department of Tourism and the National Park Service to bring to life the stories of the battles that inspired the National Anthem. 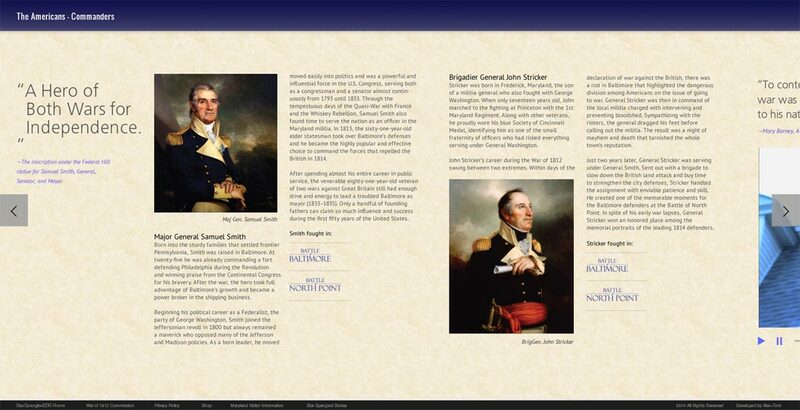 The War of 1812 interactive battlefield maps, found on www.1812battles.com, feature cutting-edge maps that provide historical context, beautiful imagery and video highlighting the history of each battle. 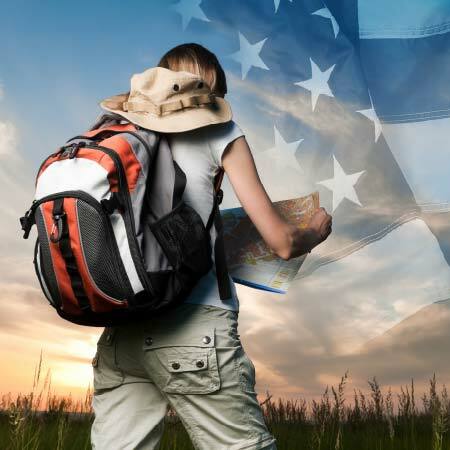 If you like history, visit the site! 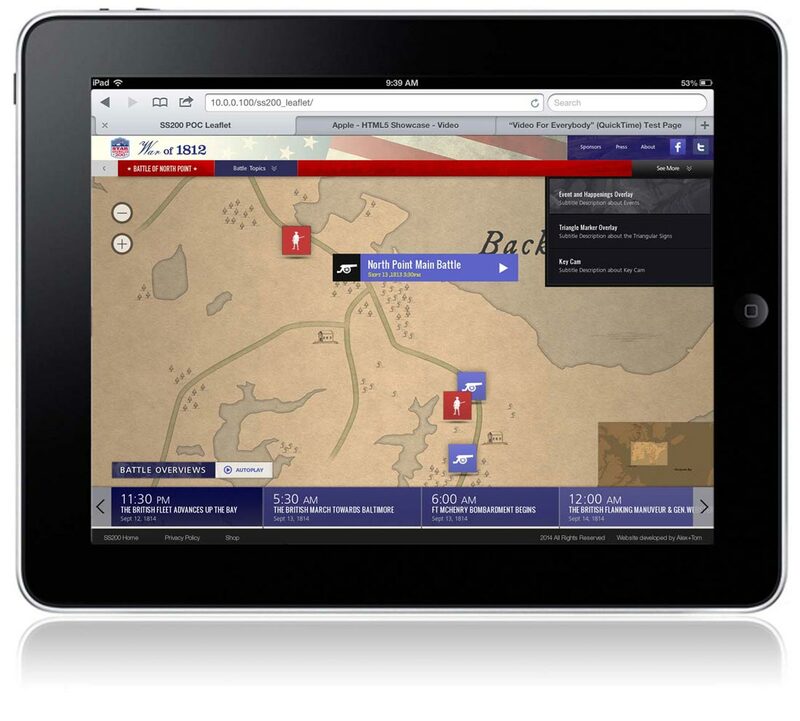 The interactive maps in 1812battles.com provide the user with a very engaging storytelling experience. The user can bring each step of the battle to life on the map. 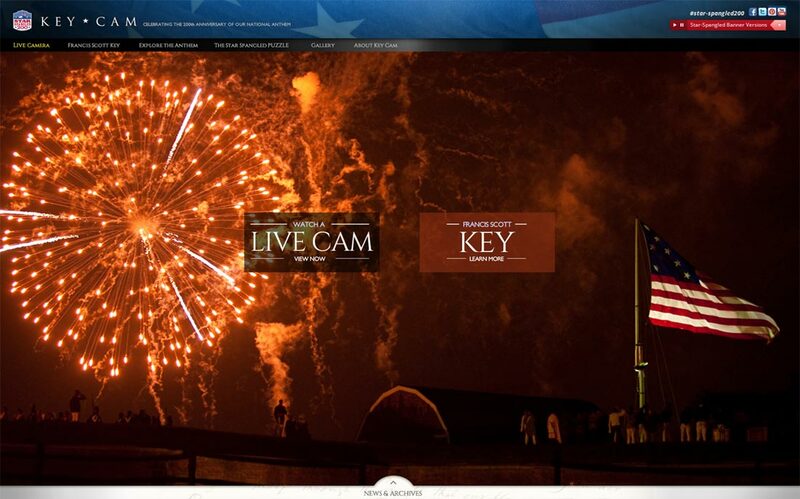 The 1812 online campaign included a webcam site with live 24/7 video feeds of Fort McHenry. The site, called KeyCam.com, features the views of multiple cameras around the fort. One of the views is designed to provide a view from the same location as Francis Scott Key had when he watched the bombardment of Fort McHenry and Baltimore 200 years ago. The website features responsive design and programming, which enable it to work well on any screen—a desktop, laptop, tablet or smartphone. 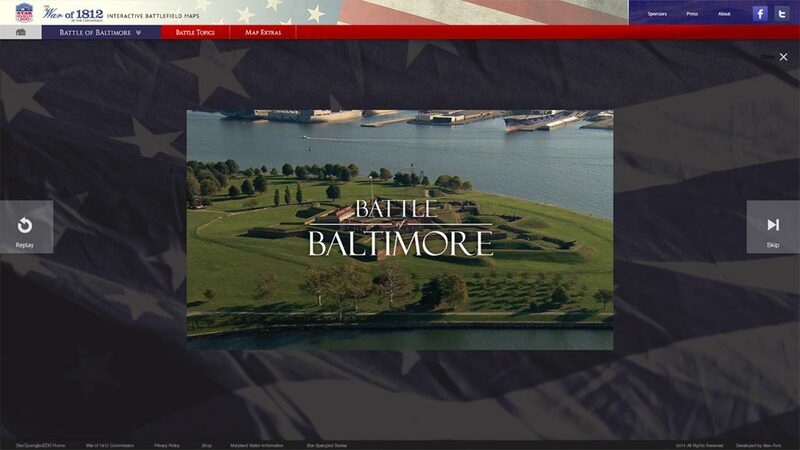 “KeyCam and the War of 1812 Battlefield maps are two meaningful projects that are exciting for a number of reasons,” said then Maryland Governor Martin O’Malley. 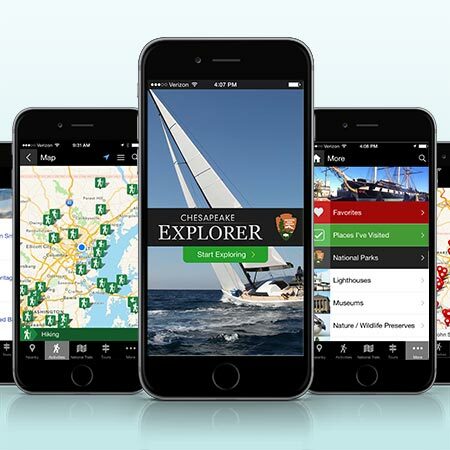 “These new, free online tools will bring the history of Maryland and our nation to life for visitors in a modern, interactive, and easy-to-access tool that will make celebrating the Star-Spangled 200 all the more special." Additional features include an interactive image gallery allowing users to upload their own inspiring photographs and other digital media.